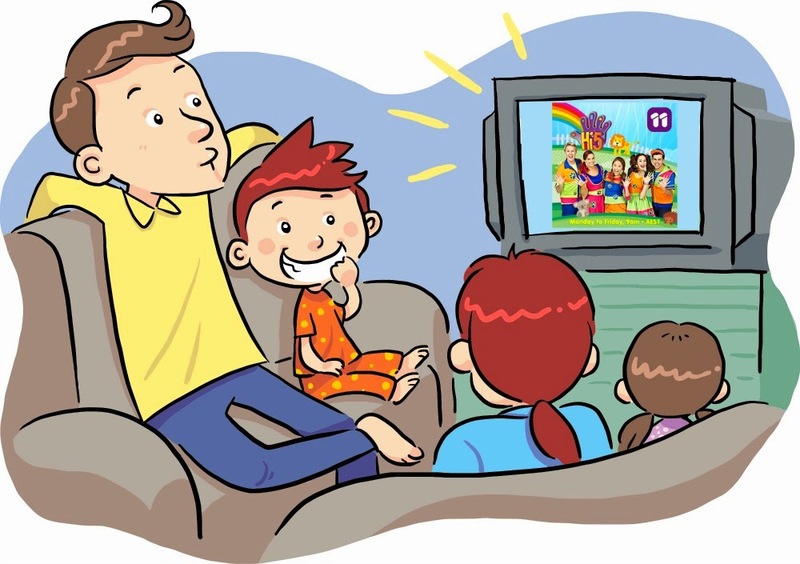 So I'm seeing lots of TV guilt in the world of motherhood..
Heaps of mums are telling me they're feeling bad about letting their kids watch tv - to the point where they're trying not to mention it to friends in case they're judged for "using the electronic babysitter". Hey, we love TV time in our house! Now if you're a parent who doesn't believe in letting your kids watch tv (or have screen time in any form), that's ok too. My point is, as parents, we make decisions about what's best for our children everyday. And I trust that most parents have their kids best interests at heart. So if you have the TV on in your house, that's a-ok with me. We have it on too. Not all day, every day, but yep, we watch TV in our home. And actually, there's a lot of quality stuff out there! Who here doesn't remember growing up and learning from Play School, Sesame St, The Wiggles? 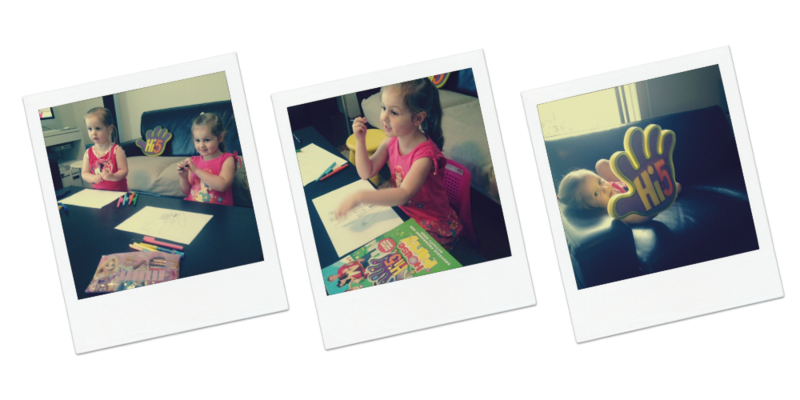 The main reason I love TV in our house is because it sparks ideas & creativity in play. My girls are making up their own songs & dances, thinking of different crafts to make and pictures to draw based on what their favourite characters are doing, and having a ball pretending to be part of Hi-5 themselves.. although we get a few arguments on who gets to be Lauren! If you want to watch it too, Hi-5 is on now on Channel 11, weekdays at 9am. If you miss it you can catch up on the tenplay site, and if you're living outside of Australia you can check out the official YouTube channel here. It's got a small backpack, an activity magazine, a big foam Hi-5 hand, temporary tattoos and hair clips. To enter, just leave a comment below telling me who the most popular Hi-5 cast member is at your house (closes midnight AEDT March 16). We were sent a couple of preview episodes of the new Hi-5 season and a couple of gift packs as well - one for us, one to giveaway :) I'm not receiving any payment for writing this post, we're Hi-5 fans anyway and it was a great opportunity to talk TV time with you all! 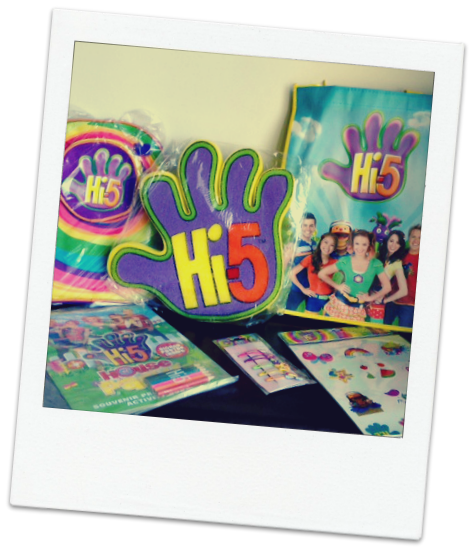 We're old school Hi-5 :) We still have the DVDs (and videos! Lol!) that our eldest 3 watched years ago so our favourite is Kathleen - all of my boys have loved her little science type segments!